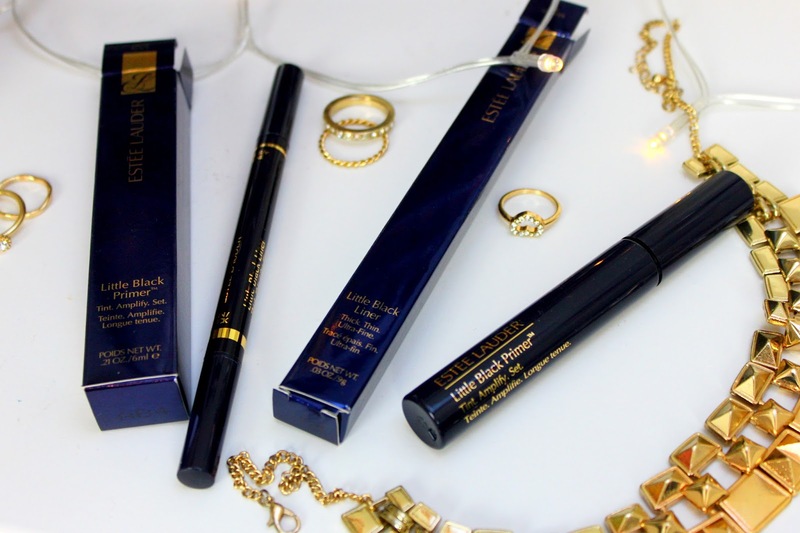 Estee Lauder has been a brand that has been on my 'To Try' list for a few years now and I was recently able to try two little eye products. 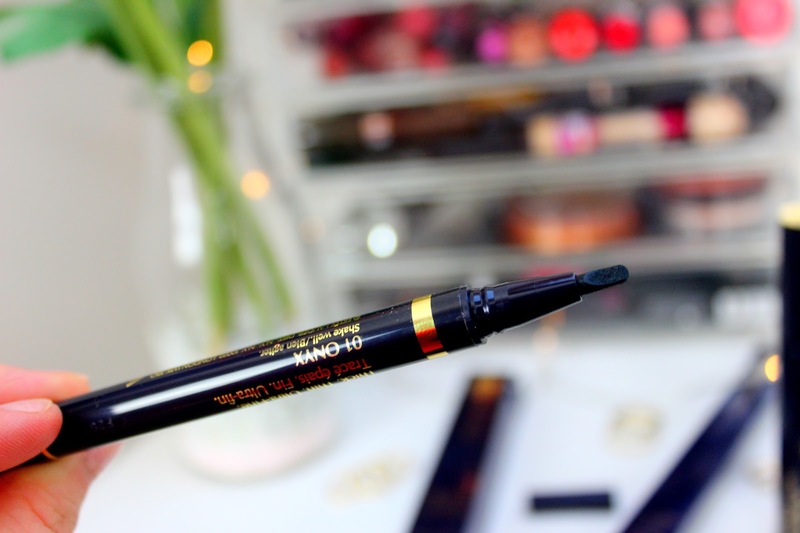 This eyeliner pen is very different from many eyeliner pens I've tried in the past, it is dual ended and has a really nice thin, precise tip end and a thicker/flat tip end for full on drama. The point on the thin side gives a really sleek thin liner but can be built up to give you a thicker line. With the flat point on the other end you can get a really thick 'one' stroke wing with a rounded edge at the tail. The round edge to the wing's tail is what makes this eyeliner pen so unique to me. It gives more drama to your eye. It is also very jet black and has a glossy finish to it. 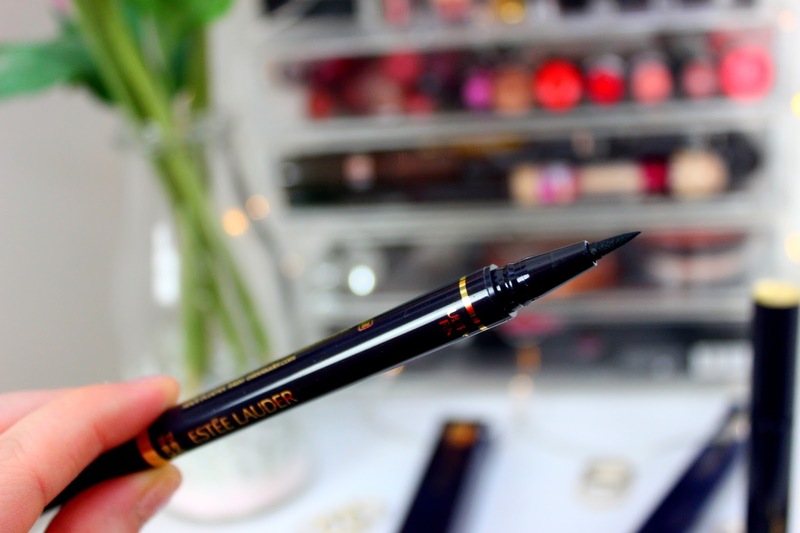 I highly recommend this eyeliner pen if you want something unique and a silky 'no smudge' finish. Applying primer on my lashes before mascara isn't really a 'must do' step in my makeup routine as I like finding a mascara that will give my lashes everything I want from volume, length, curl etc. 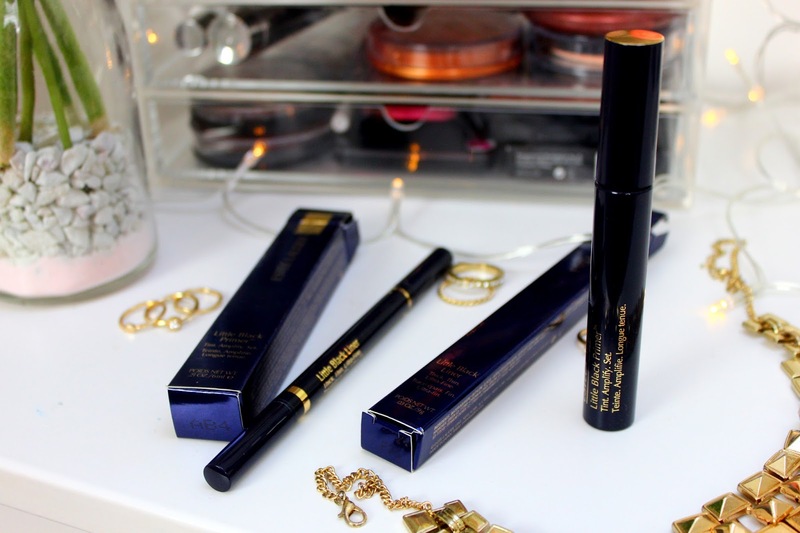 However, I've always wanted to know whether a primer works to make your lashes more volumised and lengthened. 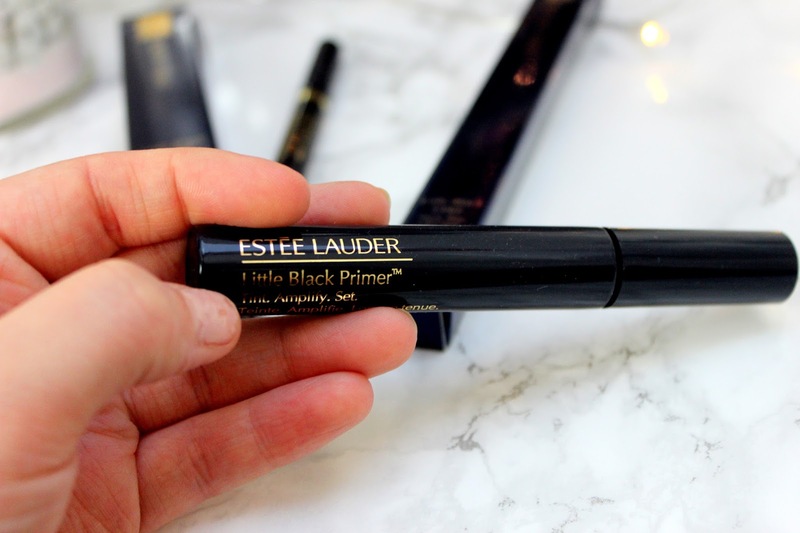 This Little Black primer from Estee Lauder is actually quite unique as it can be used 3 different ways. 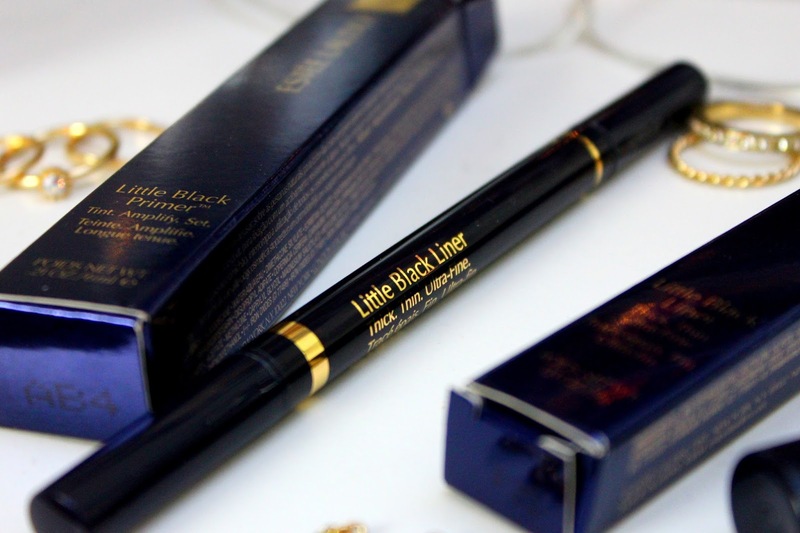 It can be used on its own as a black tint, (unlike the traditional white primers) this is so your lashes look naturally silky black. It can also be used as a primer before you apply your mascara. This preps your lashes before mascara to give them more lift and length. It can also be used as a top coat after applying mascara, this helps with longevity and preventing smudging throughout the day. I've tried this primer all 3 ways and I must say that using it as a primer is good at giving extra volume, separation and length to my lashes. 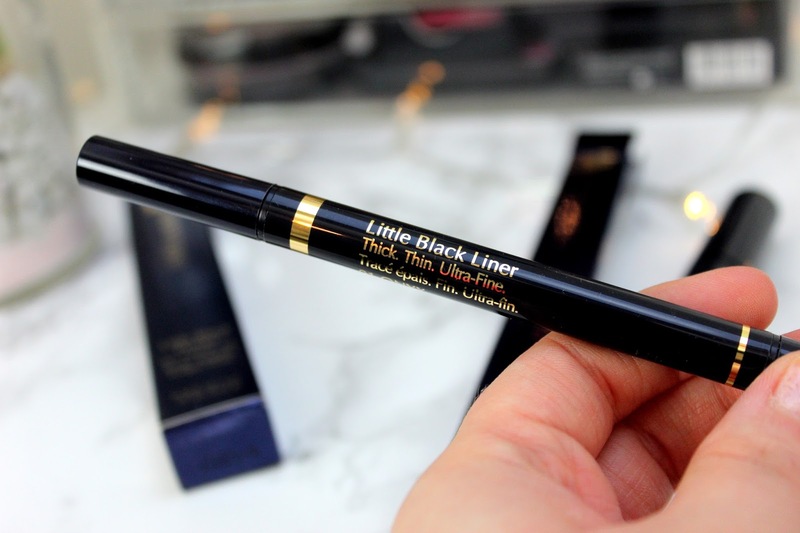 Also using it on its own as a lash tint is surprisingly great at giving the most natural volume and length to my lashes, however it isn't as jet black as a mascara, (obv!) but dark enough to look natural. On the other hand, I wasn't really liking it as a top coat. I felt as though it didn't give much volume after applying my mascara. So I would recommend using it as a primer first or as a lash tint on its own. 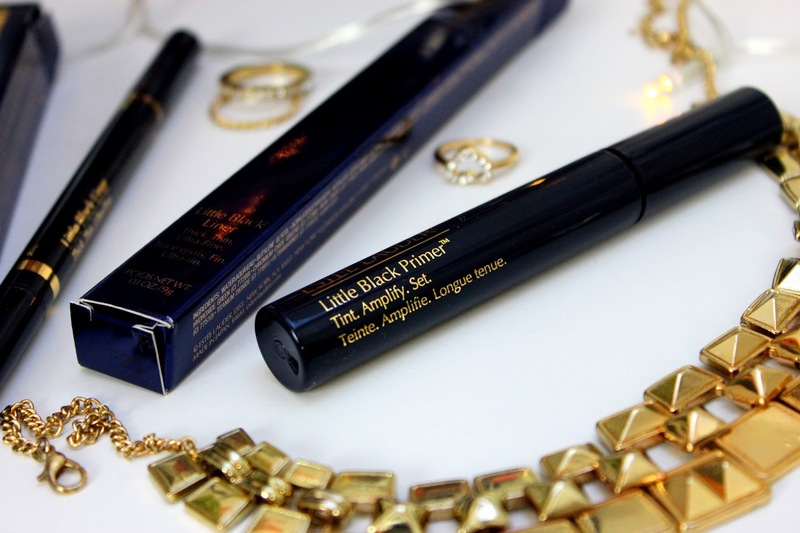 All in all, it's a really primer that gives an extra boost to your natural lashes and before applying mascara. I have a little video below where I show you how I applied both of the eye products. Check it out if you want to see the results on my eyes. I will be posting close up photos of my eyes to show you the result so stay tuned for that too! More 'close up' pictures coming soon! Thank you so much for stopping by and reading and watching.